David Gavin DBC President, Charles Fipke and Deputy Minister Peter Vician. Photo courtesy of Irina Lytchak of Canadian Jeweller Magazine. 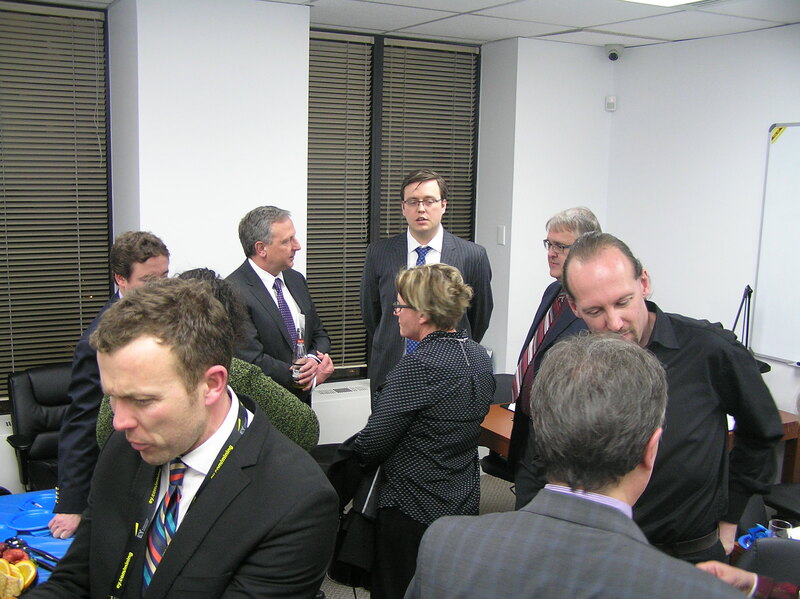 The Diamond Bourse of Canada hosted various prominent members of the Canadian mining industry at its Toronto office for a Mining Meet & Greet on Tuesday March 3, 2015. 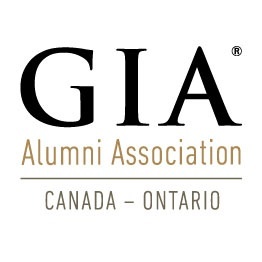 Mr. Gavin went on to say that the Bourse came about with the help of the Canadian diamond industry stakeholders, including the Ontario provincial government as well as the Government of the Northwest Territories. Guests at the Event. Photo courtesy of Irina Lytchak of Canadian Jeweller Magazine. The Diamond Bourse of Canada is pleased to announce our induction into the World Federation of Diamond Bourses (WFDB) on June 16, 2014. DBC is the 29th Bourse to be inducted and Bourse President, Mr. David Gavin, accepted this distinguished honour on behalf of the Diamond Bourse of Canada from Mr. Ernie Blom, President of the WFDB. “Being accepted as the 29 member of the WFDB has raised our profile on the world stage and solidifies our positioning allowing us to coordinate strategies on issues of common interest“ David Gavin. WFDB members approved the applications at the 36th World Diamond Congress in Antwerp which opened on Monday. The Congress is the bi-annual meeting of WFDB and the International Diamond Manufacturers Association (IDMA). The Diamond Bourse of Canada began operations in 2010, providing a bourse to the world’s third-largest diamond mining country by value. David Gavin was re-elected to a second term as president of the bourse at the end of May this year. 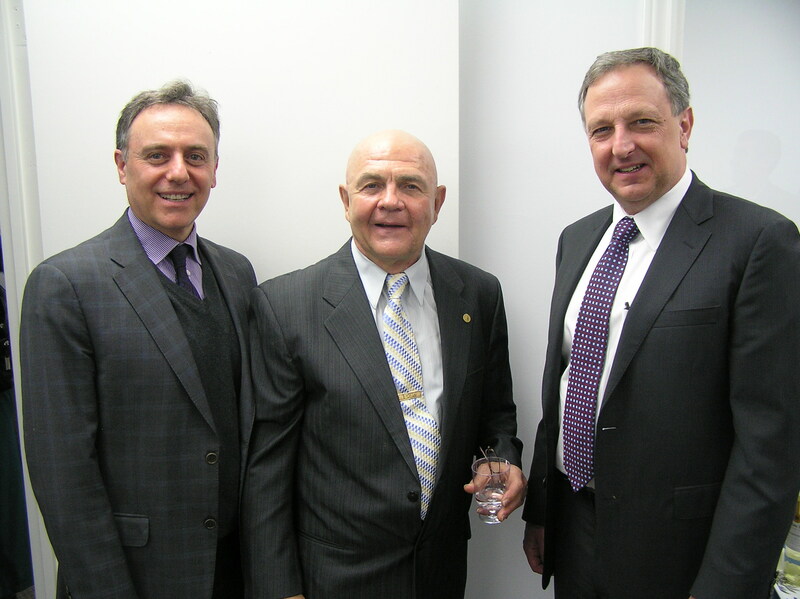 Rapaport News: What characterizes the Canadian diamond jewelry market? Does it mirror the U.S. market? DG: It is similar to the U.S. market but on a smaller scale. The recently approved Signet acquisition of the Canadian jewelry chains People’s and Mappin’s, which fall under the Zale banner, is a good thing for the Canadian market because such players tend to bring fresh ideas into the marketplace. In general, there’s a lot of cross-pollination between the U.S. and Canadian markets. This means that there will be some synergies for the Canadian bourse and the U.S. market because we do have some U.S. members that don’t have offices and locations in Canada. The bourse gives them a place to hang their hat when they come and it gives them some sort of reference point in terms of finding customers. The same is true for our Canadian members. We are a resource and a reference point for them. We can point them in the right direction depending on their needs. We really are a compass for them in terms of being plugged into certain associations or interest groups where we can see what trends are emerging in the market and help guide our members. Our membership with the WFDB will also provide access to all of the diamond bourses around the world. It will expose us to all of their events and things that are happening around the world that we haven’t had access to before. This means that we will receive a whole new source of information that will be of great use to our members. A big thank you to all of the candidates for running and making such impassioned and inspiring declarations to the members at the Annual General Meeting (AGM) last week. It was a pleasure to hear you speak and I hope this experience will encourage you to run again in future elections. Thank you to Razi Mizrahi and Deepak Kumar for scrutinizing and confirming each and every vote. A big thank you to every member who attended the AGM today and those who took the time to vote. As a Diamond Bourse of Canada member we now bring you the benefit of services from Flight Centre Business Travel, which provide great value on flights, hotels and car services. Please find the relevant forms attached for your use at the bottom of this message. The DBC Business Development Manager is Richard Pummell, feel free to call or email him to discuss any questions you may have, his contact information is provided at the end of this email. Prompt service, replying within 15 minutes to acknowledge receipt of your travel request and travel options provided to you within 2 business hours. Clear, organized and concise reporting/invoicing: Our reporting and invoicing can be sent directly to accounting or travellers to manage their expenses efficiently – this involves an invoice with each booking, as well as a monthly summary of all transactions (Weekly, Monthly, Quarterly etc.). We can also further breakdown reporting to type of expense (e.g. flight vs. hotel vs. car), supplier specific, traveller specific, etc. Flexibility included under a service fee of $35/booking – this is a flat fee regardless of add-ons (hotel, car rental, etc) or destination. We do not charge additional fees for using emergency phone, making changes to tickets, reporting, etc. Follow DBC on Facebook now! Join us as we learn how an auction works, how to recognize types and periods of jewels, as well as the role that gemmologists play in the auction process. Duncan will also share key information about items that are generally of most note at an auction, as well as specific examples from the upcoming Dupuis Fall auction. Duncan Parker is Vice President at Dupuis Fine Jewellery Auctioneers. 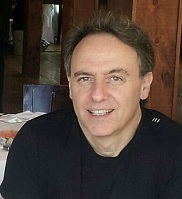 He is also President of The Canadian Gemmological Association, President of Jewellers Vigilance Canada, as well as former partner at Harold Weinstein Gemmological Laboratory, and long-time educator at the Canadian Gemmological Association, George Brown College, and Ryerson University’s Life Institute. Please join us for a memorable evening! DDC President Reuven Kaufman has extended an invitation to all Diamond Bourse of Canada members for Israel week at the Diamond Dealers Club (DDC) during the week of November 11-14, 2013. Diamond Dealers Club (DDC) President Reuven Kaufman announced that for the second edition of Israel Diamond Week (IDW), his Bourse will host more than 100 Israel diamond companies from the Israel Diamond Exchange. Oh (A Bourse in) Canada! To find out more about this burgeoning bourse IDEX editor-in-chief Danielle Max put some questions to Diamond Bourse of Canada (DBC) president David Gavin.